ICEC is excited to welcome two new members to our Executive Committee – Mary Bulger and Lilly Jensen. As ExCom members, Mary and Lilly will help to set the direction for ICEC over the course of their three-year terms of service. Thank you Mary and Lilly for joining our team! Mary grew up in a small rural eastern Iowa community. Spending time outdoors with her family and developing a love for nature is what led Mary to a career as a naturalist. She spreads awareness and appreciation for the outdoors, and engages the public to be good stewards for the environment. Mary attended Kirkwood Community College, and received her Parks and Natural Resources degree. She went on to earn an Environmental Science degree with a minor in Education from the University of Iowa. During her college years, Mary gained experience in the environmental education field by working for U of I Summer Wildlife Camps, the MacBride Raptor Project, Johnson County ISU Extension, and Muscatine County Conservation. 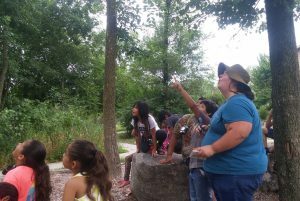 Her first full-time Naturalist position was with Lee County Conservation. After educating the citizens of Lee County for three and a half years, Mary accepted a position closer to home with Iowa County Conservation. 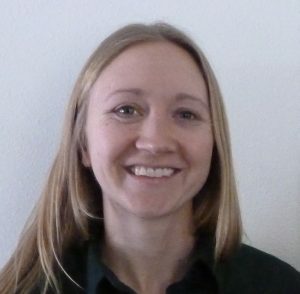 She has been working at Iowa County Conservation for just over a year and especially enjoys working with and educating the public about wildlife. Lilly Jensen is the Education and Outreach Coordinator for Winneshiek County Conservation, where she provides environmental education programming, coordinates marketing and outreach, and assists with development. Lilly received her bachelor’s degree from Luther College, and earned a master’s degree in Environmental Humanities from the University of Utah. Lilly served for six years on the board of the United Way of Winneshiek County. She is a member of the Iowa Association of Naturalists and the National Association for Interpretation. She lives near Decorah and spends her free time gardening and exploring northeast Iowa with her husband and two sons.